Since 1993 we are offering our costumers in Bavaria quality for a fair price. Customer satisfaction is the aim which Doris and Hans feel are particularly important. 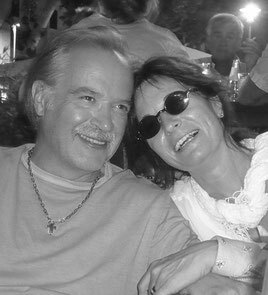 Over the last decades Doris, Hans and their team not only have deepened their ophthalmics optics knowledge, but also have gained valuable expertise in the field of acoustics, jewellery and watches. "Our aim is to raise the quality of life of our customers in every possible way." states Doris. Hans adds:" However, we cannot reach this aim with the cheapest price, but with the most fairest one. We simply could not afford selling poor quality products. Therefore, our customers only receive valuable products." We differentiate ourselves from the average optician by innovation, precision and passion. We do what we love! As a traditional family business we particularly care about a personal and honest advice. Permanently we are trying to explore the latest trends concerning your eyewear and glazing techniques. To enable participation in daily life we offer hearing aids for all your needs, no matter if you want to listen to an orchestra or the singing voice of a bird.